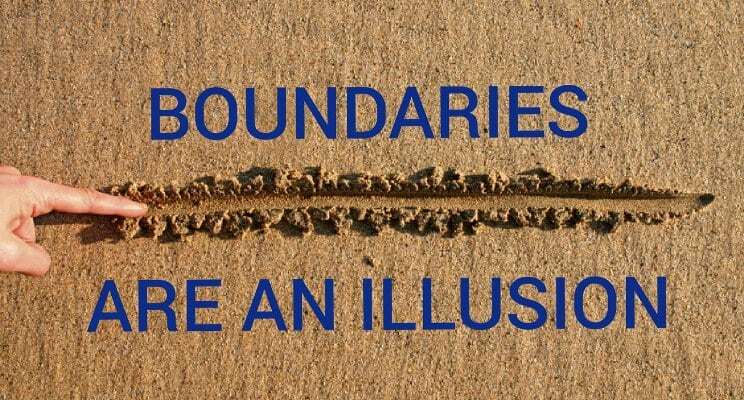 I had a very interesting discussion with someone yesterday evening, who really struggled about setting up boundaries. The way I see it is that “boundaries”, like “Rules”, are fixed, and what do most people do with rules? They either bend them or break them. I personally don’t have any boundaries, because it creates separation and a false sense of loyalty, and to which “loyalty” is just another illusion. No one is ever truly loyal to you, but only to his or her own personal values. So it does not matter what boundaries or you rules you set in your life, someone is going to cross them. Usually, they are people whom you care about most, because they feel that they have the rights to do so, or that you won’t mind. When this happens, you either end up hating them, no longer trust them, and you cut all ties with them. Or, you end up forgiving them, let them back into your life, sabotaging yourself where they end up hurting you and disrespecting you over and over again. Do not be confused the difference between boundaries, love, and self-respect. They are not the same thing. You can love people whom you don’t know because everyone deserves love. But respect must be earned. In fact, when it comes to any kind of intimate relationship, there is no love when there is no respect for one another. Self-respect is knowing what your personal values are in life, and you STAND by them and LIVE by them. It is very similar to Honour. So when someone in your life seems to have “crossed the line”, whatever that imaginary line is, that is their action going against your values. That’s all. It’s neither good nor bad. Most of the time, it’s not even personal. But when you remember that everything is a CHOICE in life, you will regain personal power. Knowing that you can choose who is a PRIORITY in your life, not only gives you so much flexibility, it allows you to choose who gets to stay in or out of your life without specific rules or boundaries, and for how long too. When someone’s action goes against my Values, I forgive them, send them love, and simply let them be. … But for most of the time, one thing you can be sure of is that they’re no longer my Priority.